Hydratight Hydraulic Nutsplitter is a fast, sure, and safe method for removing seized nuts. Nut sizes from 1-1/4" to 5-3/8". Maximum working pressure 20,000 psi. 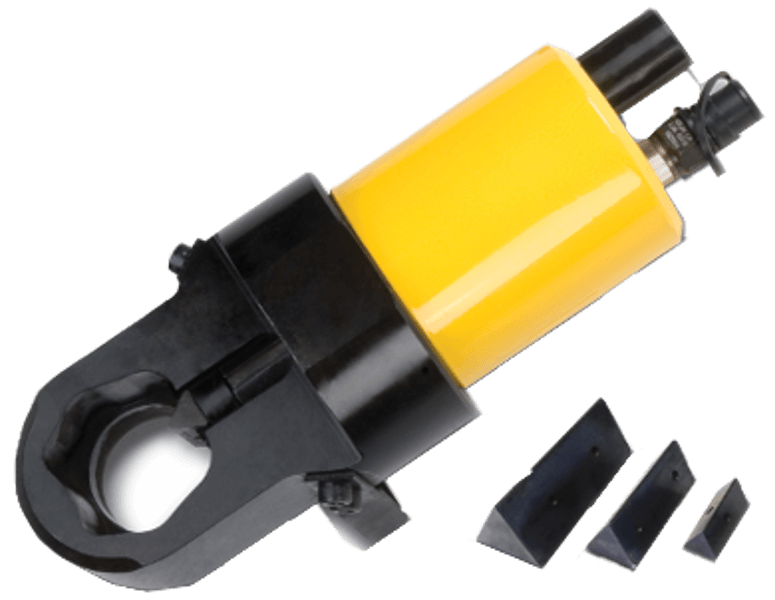 The Nutsplitter utilizes a powerful, lightweight hydraulic cylinder to drive a precision engineered cutting wedge into the flat of the nut.The cutting wedge, with three cutting edges, has been designed for maximum life and minimal installation time. Wedges can be changed in seconds. Spring retract on the hydraulic cylinder ensures fast and effective cutting, while the wedge design allows the nut to be split without damage to the threads on the bolt or stud. Pickford can supply sale or rental of hydraulic nutsplitters to all of Western Canada including Manitoba, Saskatchewan, Alberta, and British Columbia from our 40,000 sq.ft. Edmonton warehouse.